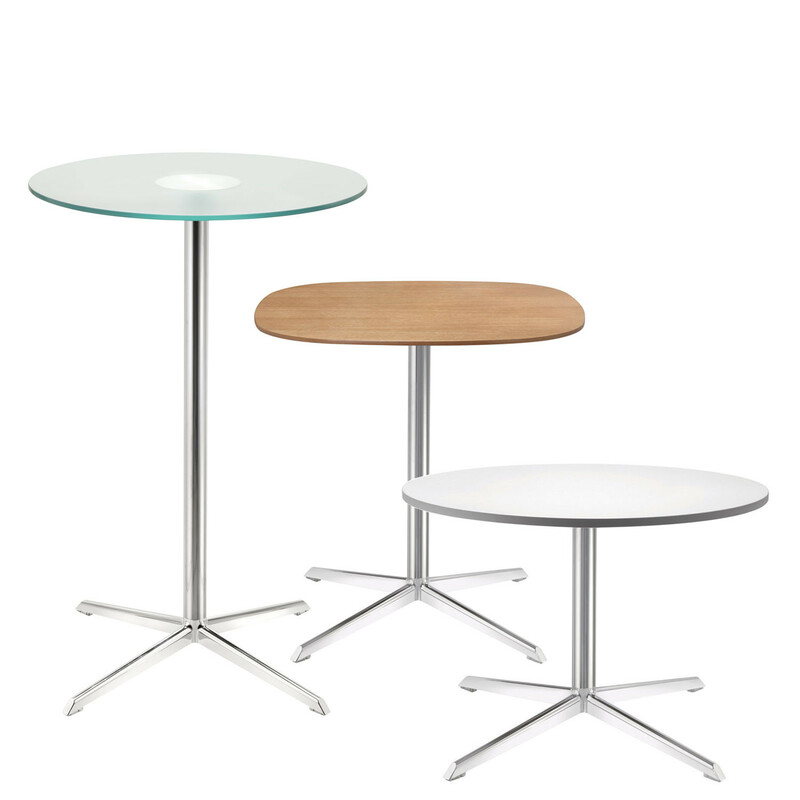 Connection Gloss Tables from British designer David Fox are a versatile collection of coffee, dining and poser tables to complement the Gloss Tub Seating range and many other seating products. 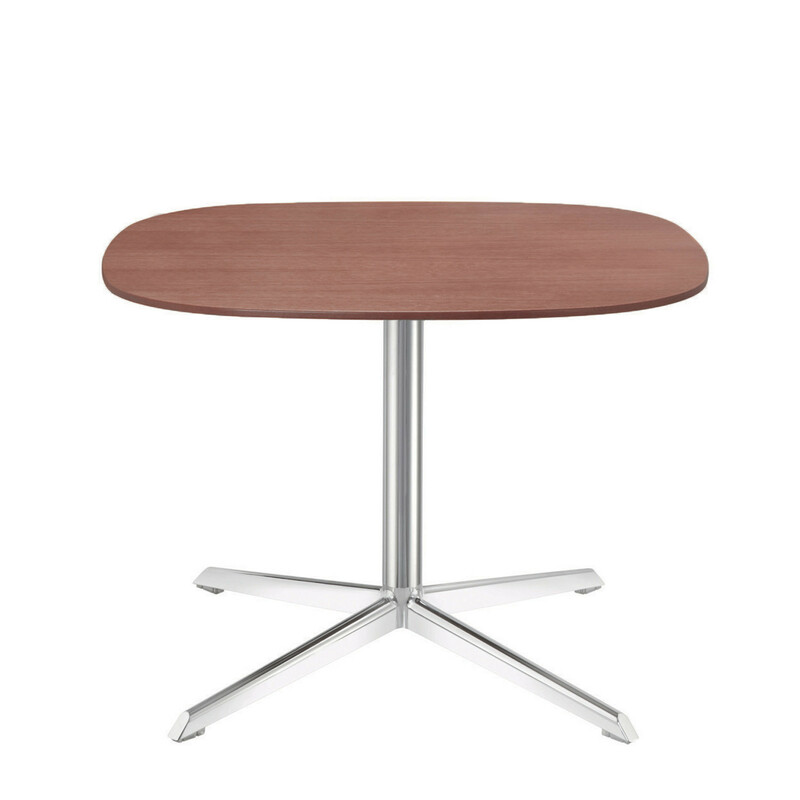 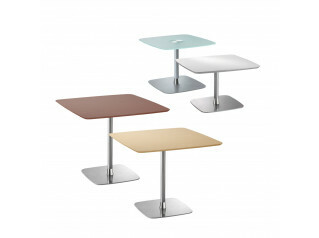 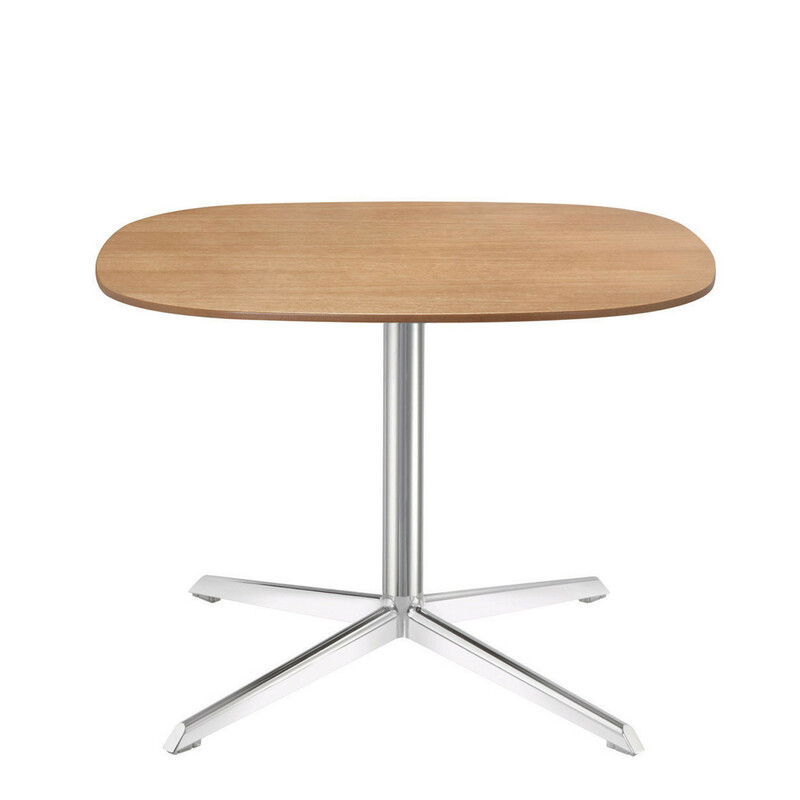 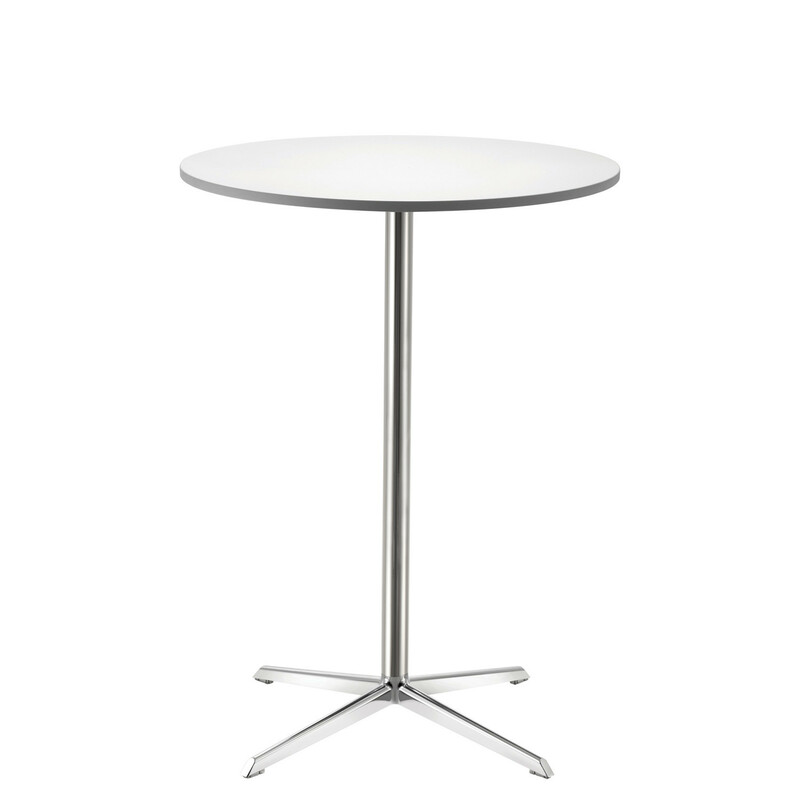 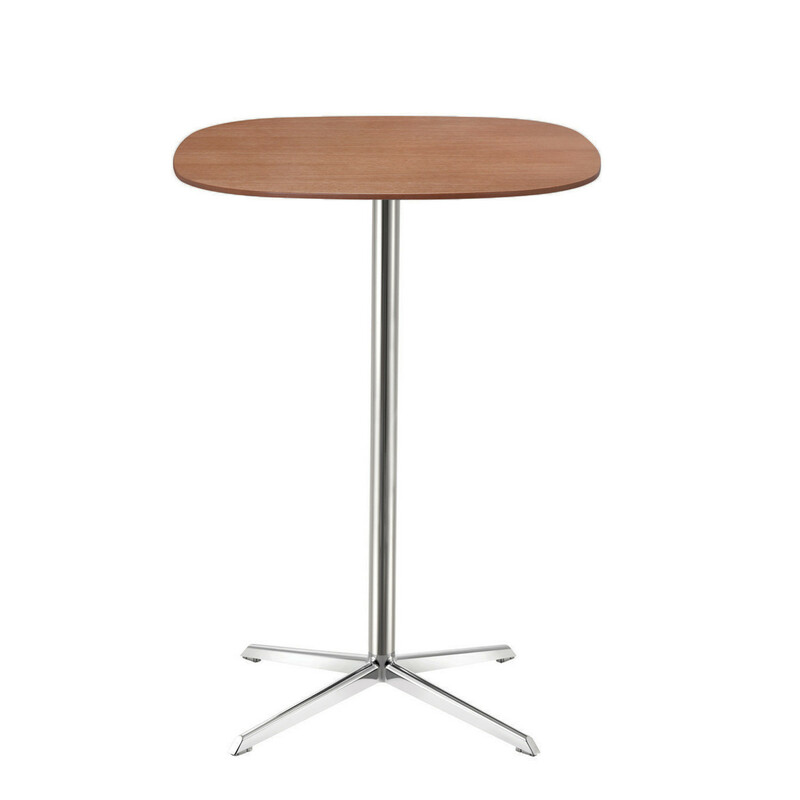 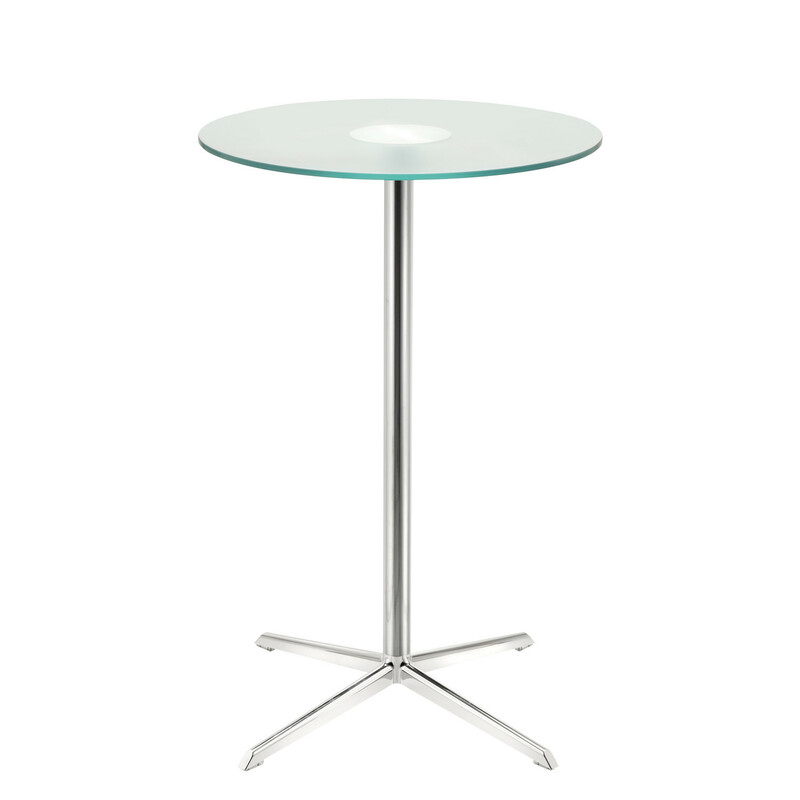 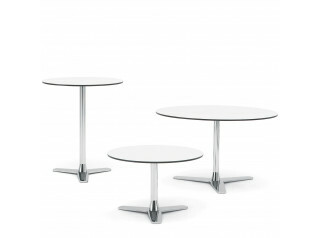 Available in a wide range of top sizes, shapes (squarial or circular) as well as glass, white or walnut finishes, Connection Gloss Tables come with a silver column and four star polished aluminium raised base. 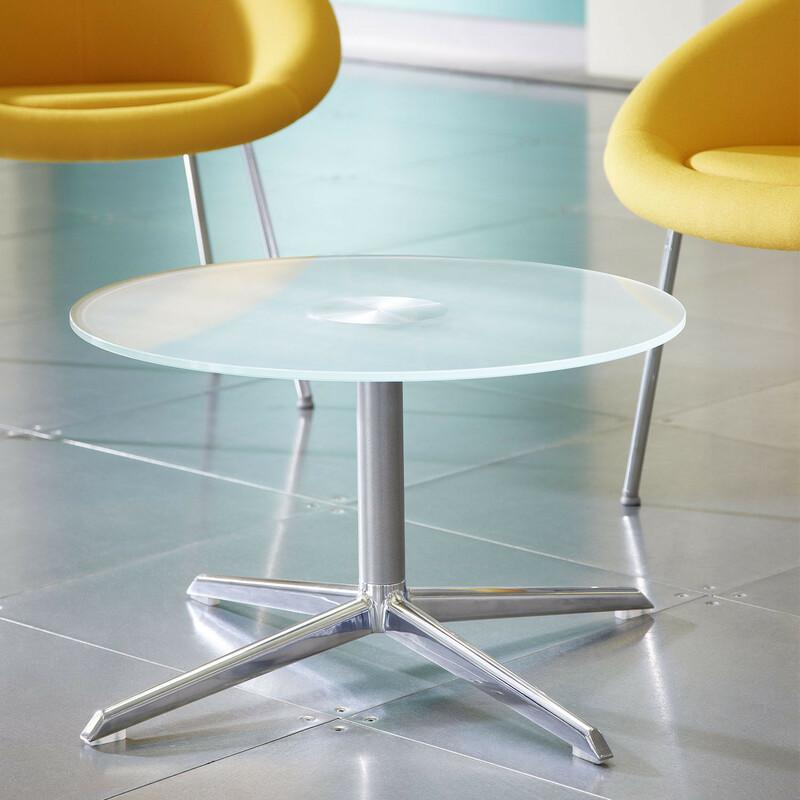 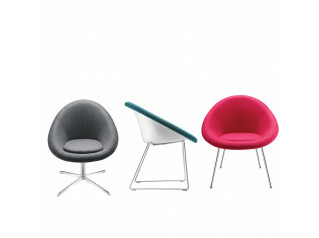 Gloss is suitable for a wide range of settings from corporate breakout areas, to hotel dining and office receptions. 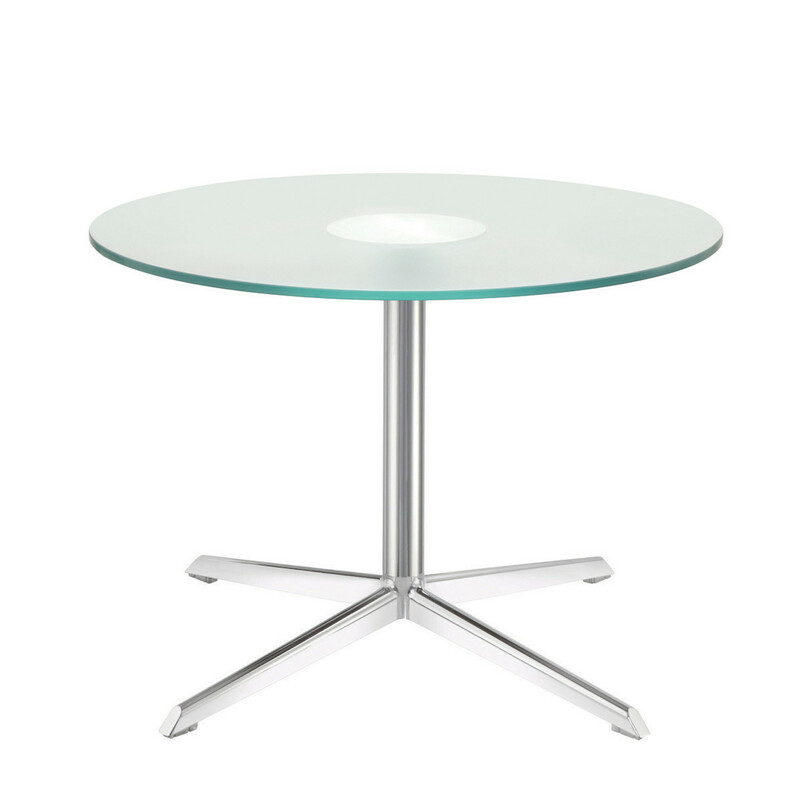 Additional Information: The glass used is 10mm frosted safety glass. 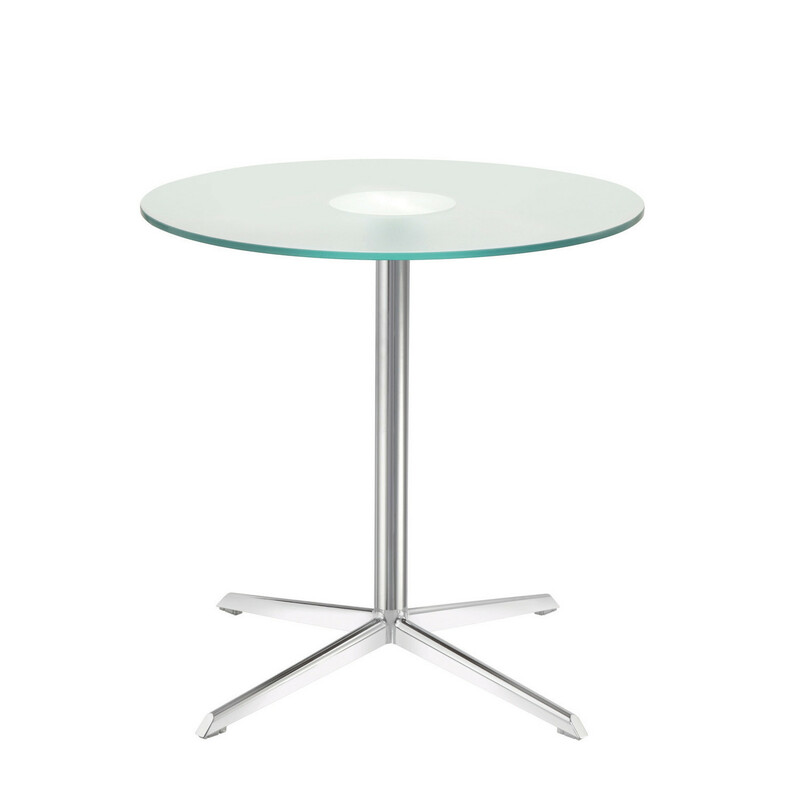 18mm MFC top with ABS edging. 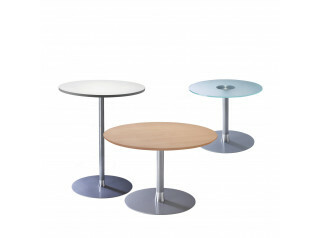 You are requesting a price for the "Connection Gloss Tables"
To create a new project and add "Connection Gloss Tables" to it please click the button below. 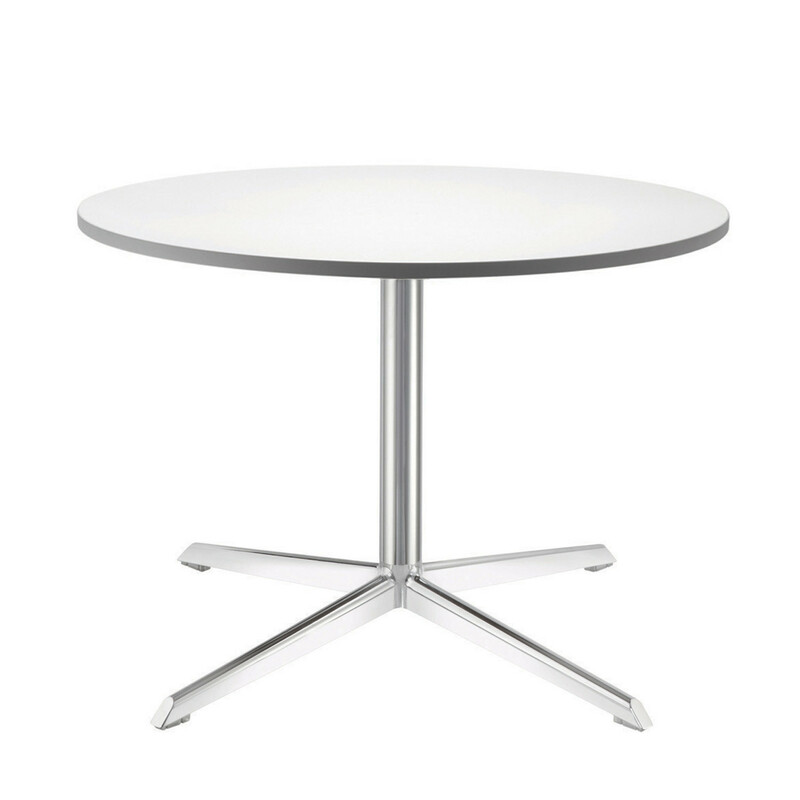 To add "Connection Gloss Tables" to an existing project please select below.